Keep off the grass? Not too likely in the 1968 Beatles world. I was 10 years old when The Beatles White Album came out, and my most vivid memory of it was, a few years later, dropping the needle on “Revolution #9” to mine for clues that Paul had died. 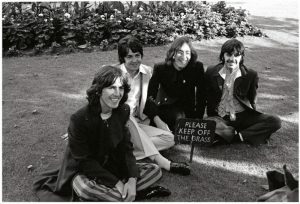 There was also “Glass Onion” (“Here’s another clue for you all, the Walrus was Paul”) and Ringo’s “Don’t Pass Me By” that gave us an indication that “You (Paul) were in a car crash and you lost you hair”, and who could forget “miss him miss him” uttered at the end of “I’m So Tired” (when played backwards)? The premise that Paul had died and was replaced by a lookalike-soundalike was so far fetched that it could have been true. After all, The Beatles were happy to pull the Walrus over our eyes at any moment. Case in point, soon after the album’s release, clues to Paul’s death seemed to fall like endless rain into a paper cup, allowing the accidental hoax to take on a life of its own, spawning TV specials, books and countless radio shows (including this one) and now websites dedicated to the “death”. The Beatles (the album’s actual name) and all its clues, will seemingly be the most challenging in the remastering efforts of son of George, Giles Martin, who cut his chops mixing and mashing songs for The Beatles LOVE Cirque du Soleil show back in 2006. Giles has since become “the man” (read more about that later) for Universal Music Enterprises as he built up exceptional cred with his remixing and remastering of The Beatles Sgt Pepper’s Lonely Hearts Club Band album, except this time, he’s doubling his fun working with the album’s 30-plus tracks, while including tons of Fab bonus tracks, alternate takes, demos and different mixes. Well, if Giles Martin has done his job, we should hear ALL the clues in crystal clarity when the White Album’s 50th Anniversary Remix comes out on Friday November 9th. We got to the bottom of the slide 50 years ago, so let’s go back to the top and do it again with much more clarity than we might have had in 1968. Read the full track listing to The White Album’s 50th in the features section of http://www.BrunchRadio.com. 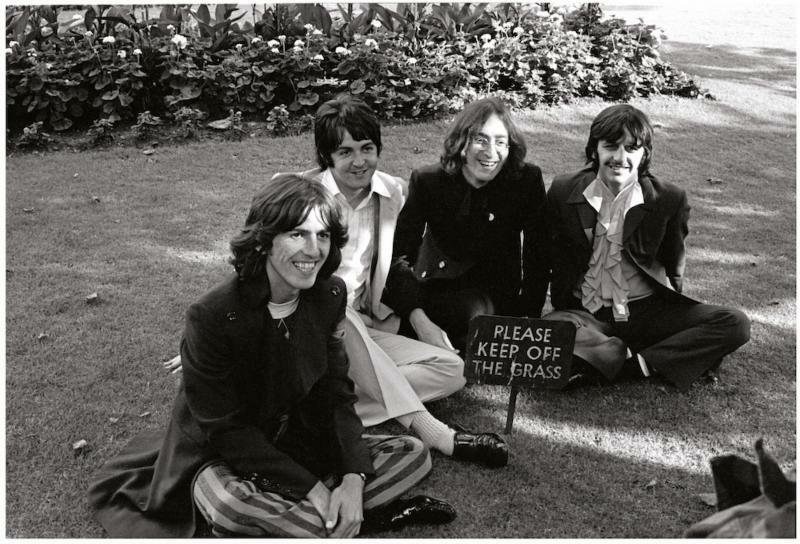 Photo: Keep off the grass? Not too likely in the 1968 Beatles world.